From the Impending Bloom calendar. On Sunday, December 30th @ 6PM, a Celebration & Observance of the Spiritual Music inspired by Kwanzaa. Featuring “Kawaida” the work of James Mtume. Eric Kennedy on drums, Herman Burney on bass, Allyn Johnson on piano & Jamal Moore on reeds, and special guest: TK Blue on reeds.. @An Die Music, 409 N. Charles Street. On Saturday, January 12th @8 & 9:30PM,an evening of Randy Weston Music. Featuring TK Blue on reeds, Rodney Hendricks in piano, and Min Xiao Fan on pipa & vocals. @An Die Music, 409 N. Charles Street. 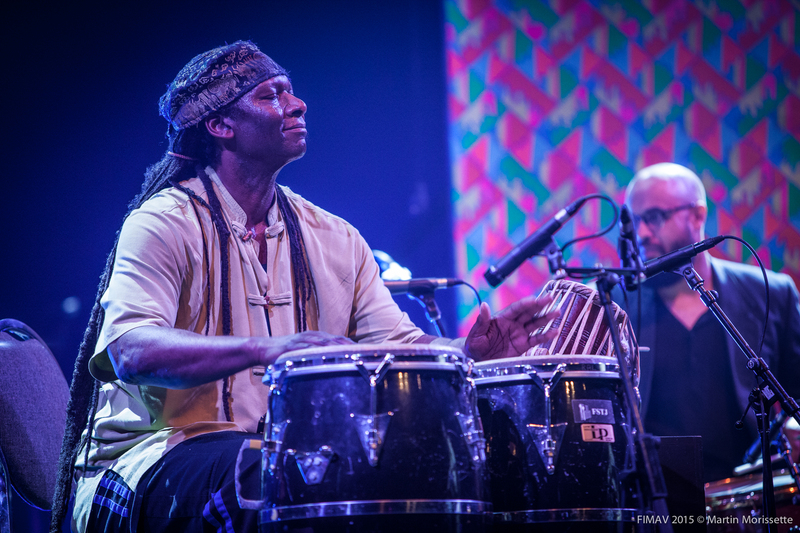 On Sunday, January 13th @ 8PM, reedist Dave Liebman, drummer/percussionist Hamid Drake & drummer/percussionist Adam Rudolph. @An Die Music, 409 N. Charles Street. On Friday, January 18th @8 & 9:30PM, David Murray Annual Class Struggle Band celebrates MLK Day. @An Die Music, 409 N. Charles Street. Also on Friday, January 18th, baritone saxophonist Dave Sewelson Quartet, w/Steve Swell on trombone, Nik Francis on drums and William Parker on bass. Opening Duo set, followed by a Free Jam closer with other guest players. @Rhizome, 6950 Maple Street in Takoma, DC, @8PM. On Sunday, January 27th, the Jason Kao Hwang Human Rites Trio, featuring Jason Hwang on violin and viola, Ken Filiano on double-bass, and Andrew Drury on drums. @Rhizome, 6950 Maple Street in Takoma, DC, @8PM. And on Sunday, February 17th, the Ethnic Heritage Ensemble, w/founder Kahil El’Zabar on drums, percussion, kalimba and voice, Alex Harding on baritone sax, and Corey Wilkes on trumpet, including a duet tribute to poet Ntosake Shange, by Khahil and poet Dine Watson. @Rhizome, 6950 Maple Street in Takoma, DC, @5PM.